As a homeowner, there are many components to your home that require regular maintenance, repair or replacement. This includes the sewer lines in your septic system. They can be damaged in a number of ways, including blockage, leaking joints, corrosion, a root in the line or broken pipes. In the event that you have to have your sewer lines replaced, there are newer options that don’t require digging up your entire yard or driveway to complete the work. This is called trenchless replacement or plumbing and it can save you time, money and a huge amount of hassle when replacing your sewer pipes. If you live in or around Atlanta, using the trenchless method may be an option for you if your sewer pipes need repair or replacement. There are many benefits in using the trenchless method of sewer and drain pipe repairs. While it is almost always a desirable choice, you should be aware of the facts before there is a problem so that if the need arises, you will be able to make an informed decision. By using trenchless plumbing, you eliminate a large portion of labor costs associated with repairing the line. There is no large crew or equipment to pay to dig a trench, plus, no crew to pay to put everything back when it’s finished. Only two small openings at either end of the pipe are needed when trenchless repair is utilized. This saves time and money, not to mention your yard. The repair can be completed by a minimal amount of workers and causes very little disruption to your schedule. Because of the methods used, either a pipe liner, which is a flexible tube that is inflated or pulled through the pipe. It is coated with resin, which hardens and creates a new pipe within the old one. The other method is pulling a pipe through the old one, which breaks apart on contact. This also eliminates future concerns with joint leaking or breaking. Since there are no joints to break or come apart, leaking pipes are much less likely to form down the road. With the expoxy coating now on the pipe, tree roots (if this is a problem) will not be able to break through, eliminating concerns of root damage altogether. Almost any sewer system can use and benefit from the use of trenchless repair. It can be used on lines with root damage, older pipes, leaky joints or seals and more. Contact your plumbing professional to evaluate your situation and help choose the right trenchless method for you. 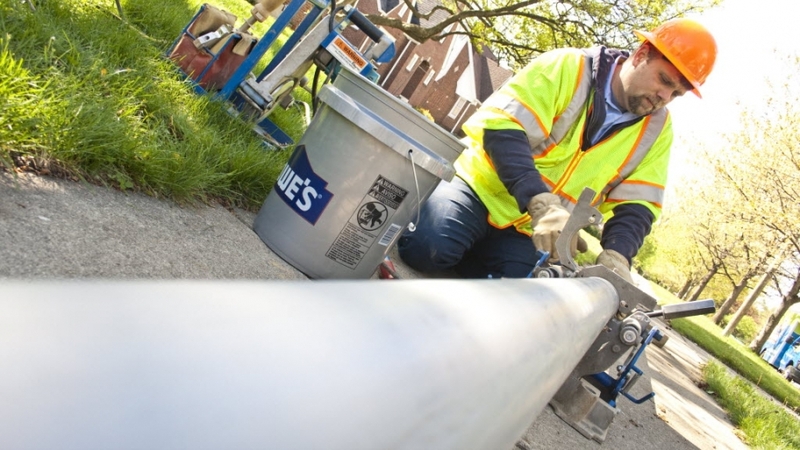 With advancements in technology come easier, more efficient, cost-saving methods of sewer line repair and replacement. If you have to repair or replace the sewer lines in your home, using a method of trenchless plumbing to do so can save you time and money. It can also save damage to your yard and property and other surrounding areas. This versatile, highly efficient pipe replacement method is becoming more and more common in plumbing use and one to consider if you should ever have to make this kind of major home repair. Call your Atlanta plumber today to find out more about trenchless technology and its benefits for you.